I personally think that Drupal Commerce deserves more mentioning and involvement by the general Drupal Community than it gets currently. The kind of effort put into achieving whatever your small team has achieved basing Drupal is exemplary. I must congratulate you, Matt and Bojan for all the great work you guys have been doing. The way Bojan and other guys answer almost every question on your Slack channel guiding those who need guidelines and help is for sure a great thing you guys should be proud of. Commerce is an elementary part of any Digital system and Drupal Commerce as the name suggests depicts the "Commerce" aspect of Drupal. 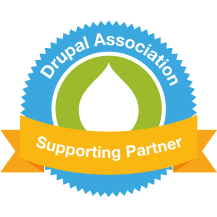 If we love Drupal Community and the software, I think we as a community should strive together pumping the push of Drupal Commerce. Even I am feeling I am the first one commenting on this much needed Blogpost of yours even after some hours of it has been out, plus just a small number of retweets show that probably more is needed by Community helping Drupal Commerce grow. Even I at times feel awkward while seeing blogposts by Drupal Agencies promoting Drupal as a great platform otherwise, mentioning Integration of other Commerce platforms with Drupal rather than focussing on joining hands with you to move Drupal Commerce forward being so native to Drupal and thus acknowledging efforts of your team having spent days and nights creating it. Ryan we met in Drupal Camp London and Drupal Con Nashville too and told you about our plans for Drupal Commerce. I have a small Drupal firm in Pakistan named Drupak, where we also provide internships and trainings to University grads. We have plans of commingling with you moving forward with Drupal Commerce. At any given time, we have internees in numbers like 10 to 15 who stay with us for an year or two. We are ready to train our guys in Drupal Commerce development and thus contributing to Drupal Commerce big time. I will request you and Bojan to guide us further so that our effort is more targeted and we may contribute as a team more efficiently under your supervision. 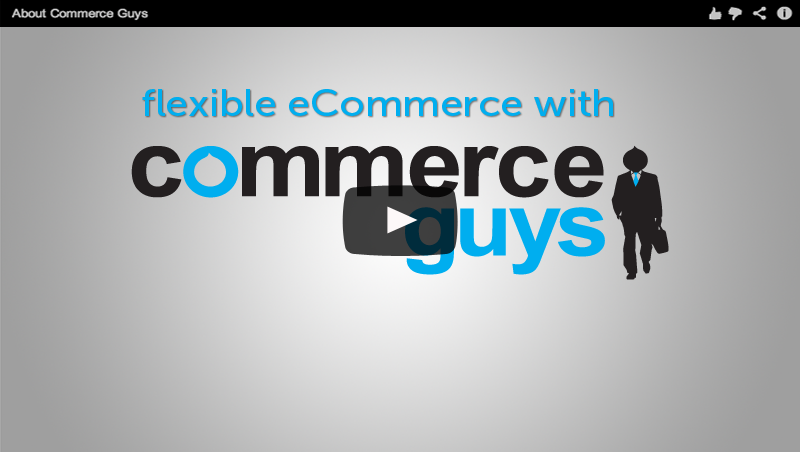 Whatever else is required from us, we will love to help Drupal Commerce grow. Looking forward to the announced changes! For me, it's also the Lack of Kickstart for D8, which forces me to configure a Lot before i can start sell. And before that, it is Hard to learn how to do the set-up, and even hard to find out in detail what can be done and limitations. I did both by going through blogs and Videos (rfay etc.) and then started experimenting with Kickstart and later commerce 1.x from scratch. Looking AT What is there under D8, it feels like less from all What i used back then. It starts with D8 itself being more complicated to Set up, think ftp and shared hosting. It went the more professional, corporate route and commerce followed, becoming less appealing to the Masses of part time admins, which bring little revenue maybe, but make for a big user base. So also my own drupal 7 site (with commerce) is on platform.sh, mostly managed by an agency, which has it's pros and cons, but i regret the distance i have to it. I also run a site with an osCommerce fork, which is super feature rich out of the box and aiming at ftp/shared hosting users. It has it's negatives too, but i like how easily i can get my hands diry and bring some of my drupal learnings, eg. Git, to it. Until i will be able to consolidate all on drupal. Thanks for sharing some of your pain points, Thomas. We definitely want to make it easier for folks to get started working with Commerce 2.x, but to date that's meant focusing on improving Composer support for Drupal 8 in general and maintaining our own demo via Composer. I understand that means a bit of a toolset change for most Drupal developers vs. Drupal 7 and earlier, but we believe the pay-off is worth it (specifically thinking about stability / security management per my post). The best place to learn right now will be from Lisa Streeter's work in our documentation, https://docs.drupalcommerce.org. It's totally fair to open tasks in the Commerce issue tracker on drupal.org requesting fixes or improvements to the docs! Eventually we'd love to be able to offer turnkey cloud demos / hosting for Commerce 2.x, but that's currently in the "3-6 months out" priority box while we focus on some essential contribs. Cheers! Long-time fan, I once attended an Ubercart workshop with you Ryan all the back in 2010! Got me started with drupal and ecommerce and that has been a boost in my web dev career. Thanks to you and the whole team, looking forward to what you do in 2019. Reading from the above someone may say that Drupal and Drupal Commerce are implementing "The Bazaar model, in which the code is developed over the Internet in view of the public" but as for my personal opinion it is a Cathedral. I like all the points from 19 "lessons" list in the article but the number 10 is what that can be useful to stop the Drupal decline. Yes, Drupal leads are great talented developers but for me it seems some kind of a "Leads & Friends" private club. IMHO. It was not that way before because I remember my D7 Drupal Commerce times when I came to issue queue with quite naive suggestions and Szrama patiently keeped with me long discussions like with a real developer. Thank you, Ryan. You'd given me "Yes, I can!" feeling. Good luck to you and to the Drupal Commerce!